The game received generally positive reviews from critics. Within 24 hours of going on sale, the game had sold more than 5.6 million copies, 4.2 million in the U.S. and 1.4 million in the UK, breaking the record set by its predecessor Modern Warfare 2 by some 2.3 million copies. After six weeks on release, Activision reported that Black Ops had exceeded $1 billion in sales. 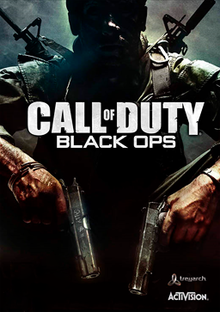 On August 3, 2011, Activision confirmed that the game had sold over 25 million copies worldwide, making it one of the best-selling games of all time in the US, UK and Europe. A sequel, Call of Duty: Black Ops II, was released on November 13, 2012.Call of Duty: Black Ops III was released on November 6, 2015 as the sequel to Black Ops II. Call of Duty: Black Ops 4 was released worldwide on October 12, 2018, as a sequel to Black Ops III.